The tone of the book is dry scepticism with a dash of humour; the content is supple, dense and layered. What makes it fresh and necessary is that it’s a non-believer’s open-minded exploration of how religious doctrine and practice have changed through human history — usually for the better. Fundamentalism, in this reading, is a kind of repetitive neurotic interlude in the evolution of religion towards more benign and global forms. It’s not a linear process — misunderstanding, violence, stupidity, pride and anger will always propel human beings backwards just when they seem on the verge of progress. Greater proximity has often meant greater hatred — as one god has marshalled earthly forces against another. But in the very, very long run, as human beings have realised that religion is nothing if not true and that truth can be grasped or sought in many different ways, doctrines have evolved. Through science and travel, conversation and scholarship, interpretation and mysticism — our faiths have adapted throughout history, like finches on Darwin’s islands. Wright’s core and vital point is that this is not a descent into total relativism or randomness. It is propelled by reason interacting with revelation, coupled with sporadic outbreaks of religious doubt and sheer curiosity. The Evolution of God is best understood as the evolution of human understanding of truth — even to the edge of our knowledge where mystery and meditation take over. What’s subtle about the book is that while it makes a materialist case for how God evolved — as a function of trade and travel, globalisation and science — it does not reduce faith to these facts on the ground. Hovering over the book is a small sense that, far from disproving the existence of God, this evolving doctrine might point merely to humankind’s slow education into the real nature of the divine. For whatever definition of divine one may hold. Read Andrew Sullivan's review here. 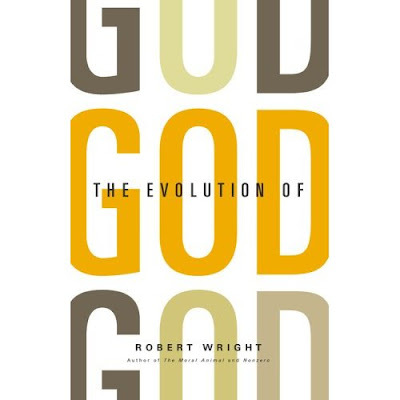 Robert Wright's The Evolution of God, which comes out next week, is about to reframe this debate. Wright doesn't argue one side or other of the "Is God real?" question. He leaves that aside. Instead, he grapples with God as an idea that has changed—evolved—through history. He argues that the scriptures of the three Abrahamic faiths were written in history by real people who aimed to improve things—economic, social, geographical—for their constituencies. (And then he exhaustively, minutely catalogs who those writers were and what those specific aims might have been. This is not a book to read on the beach this summer.) But he never argues that what he calls a materialist view of scripture disproves God. Instead, he takes another approach: as our societies have grown more complex and more global, our conceptions of God have grown more demanding and more moral. This is a good thing, for religion can "help us orient our daily lives, recognize good and bad, and make sense of joy and suffering alike." Wright is optimistic even about Islam in today's world: "The ratio of good to bad scriptures varies among the Abrahamic faiths, but in all religions it's possible for benign interpretation of scripture to flourish." Though he never comes right out and declares that the human propensity for morality—and, by extension, truth and love—is given by God (or is God), he comes awfully close. In an imaginary debate with a scientist, he compares God to an electron. You know it's there, but you don't know anything real about what it looks like or what its properties are. Scientists believe in electrons because they see the effects of electrons on the world. "You might say," he writes in his afterword, "that love and truth are the two primary manifestations of divinity in which we can partake, and that by partaking in them we become truer manifestations of the divine. Then again, you might not say that. The point is just that you wouldn't have to be crazy to say it." I'm looking forward to reading this Wright's book. Read the review by Lisa Miller here and by Andrew Sullivan here. Waiting for this book to be released in India,so that i can read and hope to give some comments on the book. Anyways ,for me god is always there and i think people haven't studied Jainism in depth,otherwise they must have got something valuable to learn and feel as i am feeling now. The Atlantic Monthly published an excerpt earlier this year, which takes a look at the origins of Christianity through the lens of the modern marketing industry. It looks interesting, if a little anachronistic. Thanks for the link, Tom. This is indeed an interesting approach. In my book ‘The Biological Misconception’ another fresh approach towards religion comes as the result of simple logical reasoning. The first result of the reasoning is that the observed matter-made world, the very object of all scientific study, is a projection constructed by the human body. 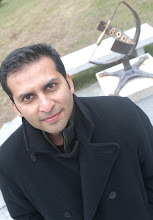 From ancient times to modern times philosophers have come to the same unescapable conclusion. Kant may be best known among them. The second result, also drawn by Kant, is that the reality that causes our observations can never be known by us. It is a metaphysical reality. Kant called it the ‘noumenal world’. It can be literally anything. But it is here and now. Moreover, our very bodies are part of it. We don’t know our real bodies either, only the observed ones. The third important conclusion is that the world observed is conscious. It is the integrated conscious observation by all humankind. It is logically impossible to point to anything in our universe that doesnot belong to the consciously observed world. Hence, anything we notice is a conscious projection of metaphysical reality produced by our metaphysical bodies. I have reflected those results in a simple ‘formula’ or = B[R], where or stands for observed reality, B for the metaphysical human body and R for metaphysical reality. The brackets depict some unknown action or function that results in matter-made observed reality. The link towards religion is the following. First of all, metaphysical reality, which can be anything imaginable or unimaginable, must exist. And next, there is an argument about consciousness. We know that observed reality (or) is in conscious ‘space’. With reference to the ‘formula’ above, that could mean that B[R], the metaphysical part of the ‘formula’, is in conscious ‘space’ as well. This assumption would clearly point to a conscious metaphysical reality transcending our observed matter-made world. At the least, this sounds rather spiritual.